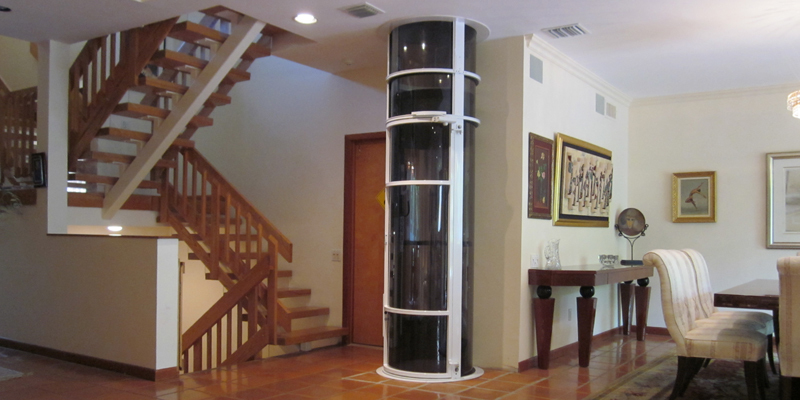 A glass elevator from Vision Elevators can improve mobility and add style to your home or business. 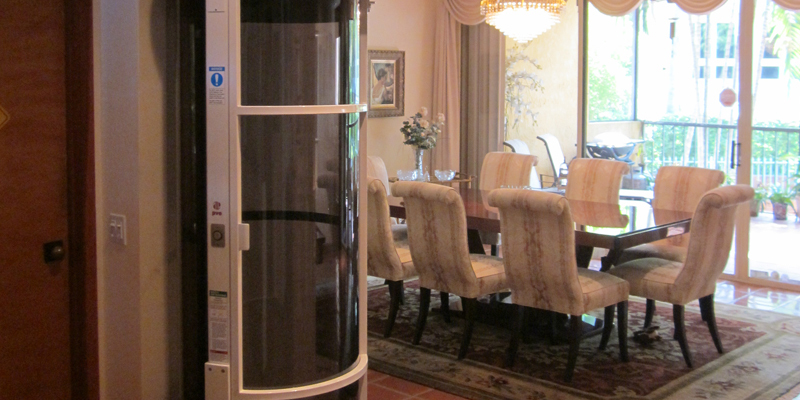 Vision Elevators offers a variety of vacuum and cable-driven elevators to suit your needs. Pneumatic, or vacuum, elevators use air pressure to move the cab. A vacuum seal is built into the ceiling of the cab. Turbines at the top of the tube draw out air above the cab and pull it upward. Steel brakes secure it to the landing when it reaches the desired floor. If the user wants to go down, the turbines turn on briefly to lift the cab off the brakes. Then they turn off, and the cab descends slowly and quickly and is stopped by the steel brakes. Vision Elevators offers three vacuum elevator models. The Vision 350 can transport up to 350 pounds, the Vision 450 can transport 450 pounds, and the Vision 550 can transport 525 pounds. None of these models requires a pit or machine room. They are all designed for residential use and can travel up to four stops. The Vision 350 and 450 models are not wheelchair accessible, but the Vision 550 can accommodate a wheelchair. Cable-driven elevators use a motor and drum unit at the top of the elevator shaft to move the cab. The drums raise the cab by winding up the cable and lower it by spooling out the cable. A variable frequency drive controls the motor that turns the drum units and controls the speed of the elevator's movement smoothly. Vision Elevators carries two models of cable-driven elevators. The Visi-48 can carry up to 744 pounds, while the Visi-58 can transport 830 pounds. Neither requires a pit or machine room. Both can travel up to five stops in a residential setting and two stops in a business. Both are wheelchair accessible. 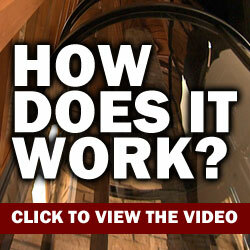 If you need to improve mobility at your home or business, a glass elevator from Vision Elevators may be the solution. You can choose from our selection of both vacuum and cable-driven elevators to find the perfect model to match your needs.